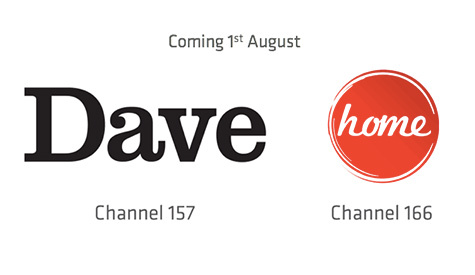 At long last UKTV’s Dave and Home are coming to Freesat. They are to launch on the platform on the 1st August 2017. Dave will be available on channel number 157 and Home on 166. So happy, they are joining Freesat at long, long last!! Well done Freesat!